Use a small shovel or a snow thrower if possible. Repeatedly lifting heavy snow raises blood pressure and is extremely strenuous on the body. Take frequent breaks when shoveling a large amount of snow. Avoid eating a heavy meal or drinking alcohol prior to shoveling snow. These can put extra stress on your heart and give you a false sensation of warmth. Dress appropriately for the weather by wearing layers. Additionally, wear a hat to prevent losing heat through your head. If you experience nausea, light-headededness, chest discomfort, shortness of breath, or break out in a cold sweat, stop shoveling immediately and seek medical attention. These could be indications of a heart attack. If you are normally inactive, try to get into an exercise routine before the first heavy snowfall comes and get an okay from your doctor before shoveling. Shoveling snow is physically exhausting as well as time-consuming. You probably have other things you would rather be doing, especially at this time of year. 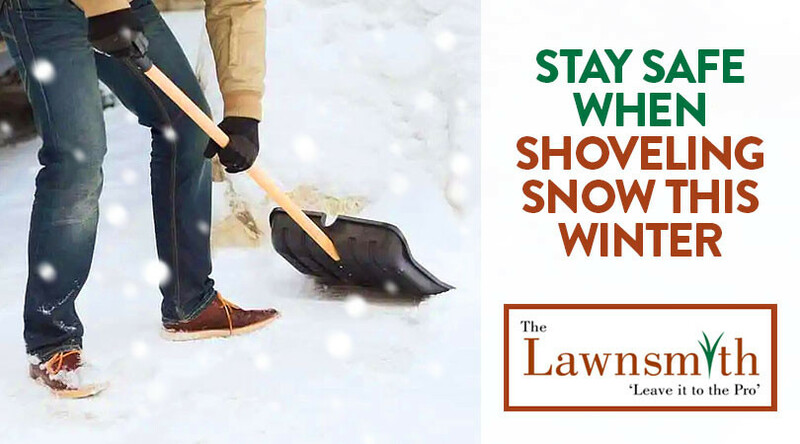 We offer a range of winter services at The Lawnsmith, including snow shoveling, snow plowing, roof raking, and salting. 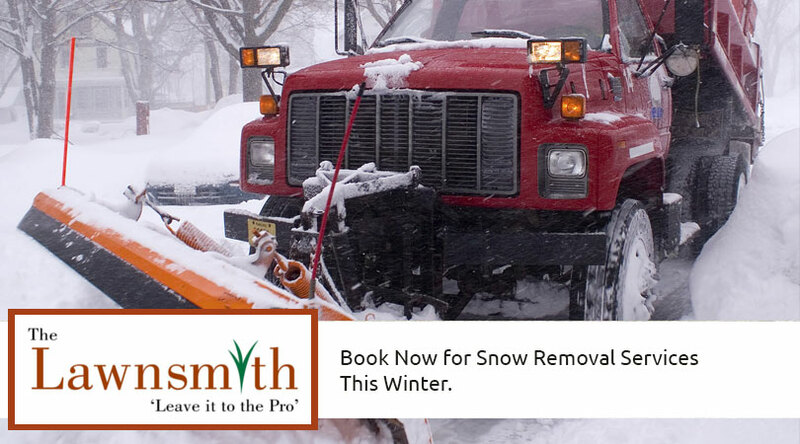 While you stay safe and warm indoors, our crew will remove the snow at your home or office and as well as perform other requested services. Please contact us to learn more or to request a free estimate.